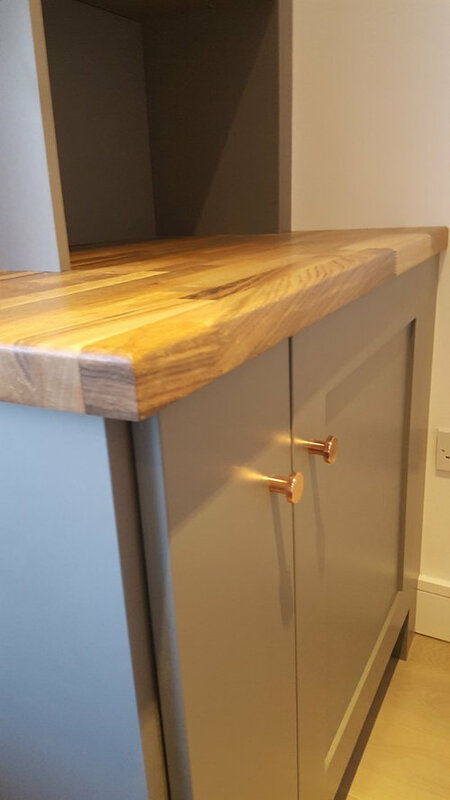 Great solution for a more tidier room with this bespoke cabinet that hides the boiler and washing machine. 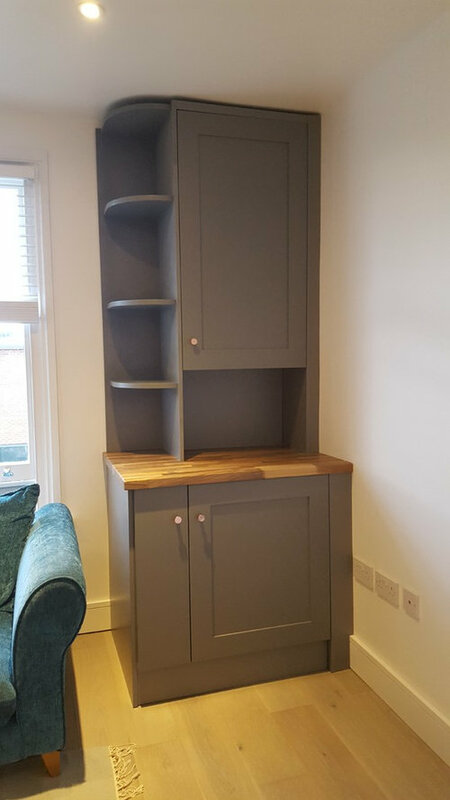 Material used is Egger board, doors shaker style hand painted and top solid oak. 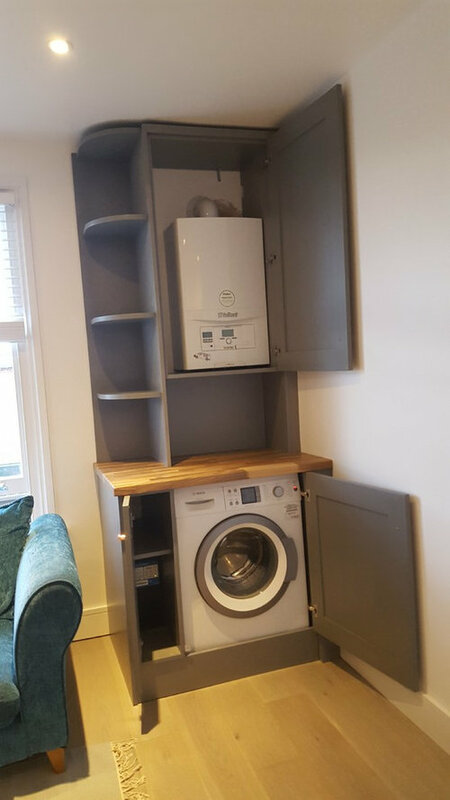 I like the idea of hiding the boiler and washer. 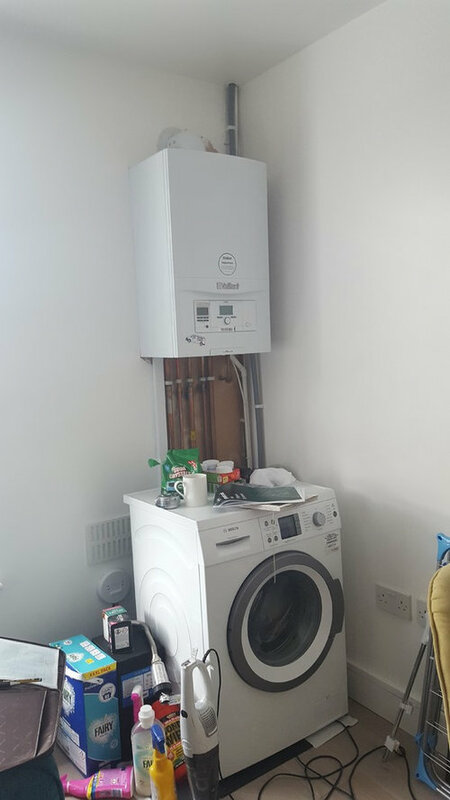 However, is the boiler fully serviceable? the cupboard seems quite close. Nice looking job. Hi Patrina, yes it is fully serviceable, is bespoke made to fit the exact space. Redesigning a small kitchen in tourist apartment.